Sunderban is unique largest mangrove ecosystem in the world and has the honour being a world heritage site &biosphere reserve among all. Our experience in sundarban greatly influenced our knowledge and attached us to its habitat, we had enjoyed the different variation of scenic beauty of nature in sundarban which had been greatly influenced to the environment .It starts with the streamer ride between the channels of ganges river which lies in extreme south of west Bengal.It has been said that “The Sunderban” Is one Wonders of the world’s Part by the delegates of the world . Its our experience that for Three days in the beauty of sundarban had a great luxury of cuisines of meal offered by its culture, we enjoyed a lot there. It is our honour of being a part of Excursion to be indulged in the activities of school curriculum as its is a part of education system which creates the students mind to develop cognitively in the different fields of studies. 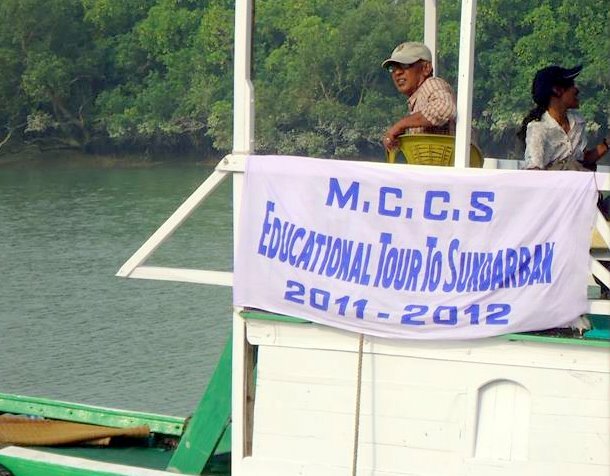 Siliguri,4th Dec. 2011.We are the students of Modella Caretaker Centre and School was to set out for an Education Tour to Sunderbans through Help Tourism, We were 48 in number, with 7 teachers. We started our journey from New Jalpaiguri Station on 3rd November,2011and we reached Sealdah station the next morning by 6:10a.m. We took a small halt for some time and then boarded our bus which was already waiting for us and started an exhaustive journey of around 4 hrs, on our way we were offered our breakfast also. The bus finally stopped at a place called Gadkhali and then we boarded a launch and reached a habitat island called Bali island where was our resort already booked by Help Tourism. 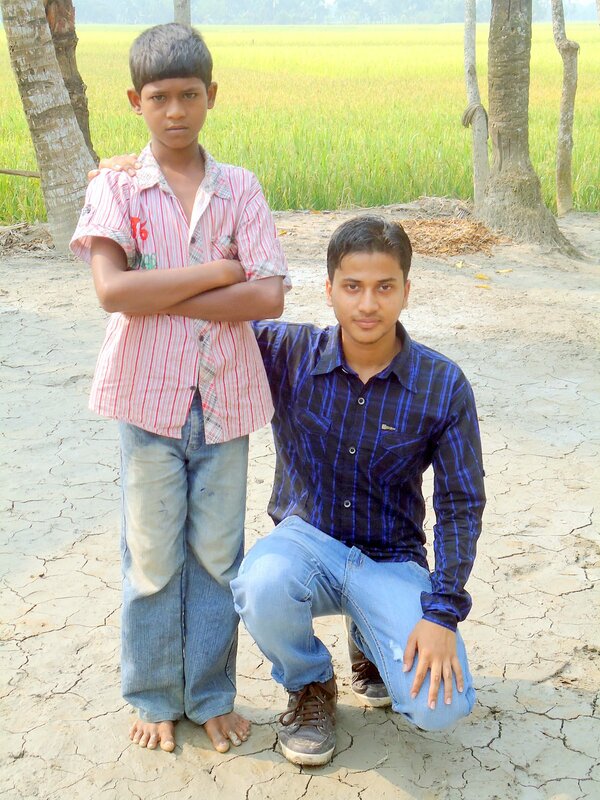 Then we unpacked our luggage and had a refresh and finally had our lunch and then we set out for Sajnekhali for taking permissions to visit the place and visited a museum offering us amazing knowledge about the place “SUNDERBANS” . The next day (i.e. 5th November) after having a small yoga class and our lunch, we set out early in the morning to visit all the different places of Sunderban. We visited a deer reserve, where we not only found deer but various species of plants, of Mangrove trees were the most abundant and of which Sunderban was famous along with the Royal Bengal Tigers. We saw different animals like crocodiles, deer, monkeys, forest fowls (van murgi),and birds of different species. At night we saw a special play performed by the local people based on The Bannobibi ( the goddesses of the forest who is believed to protect them from various monsters(man-eater tigers ,crocodiles, etc.). The villagers performed it with great a true soul which was a very pleasurable moment for us. On 6th Nov. We visited the bali village, had conversation with the locals. We came to know their way of living, the problem faced by them. Still they don’t have the electricity supply so they were offered Solar cells at very low prices which in market will be unaffordable to buy; they are also dependent on electric generators for electricity. For their livelihood, they are dependent on agriculture (on small areas around their houses), fishing, apiculture, tourism. We helped them financially also and offered them few commodities. Our resort was also very nice and used all types of eco-friendly good & commodities wherever possible. Finally after returning from there we set out for Sealdah and boarded the train back to New Jalpaiguri. Last night i saw documentary about sundarban in national geography i thought, if some one gets flights for pakistan from sundarban it is totally changed tour from sundarban to hilly areas.